A lovely project that mixes the vocals of Paula Morelenbaum with backings from the SWR Big Band – but in ways that still have a really warm and intimate feel! The set's quite different than the usual singer meets big band set – as the SWR seems almost to be broken out into smaller units – guided with great grace by arranger Ralf Schmid, who creates the feel of small bossa combo backings on many numbers, with slight larger touches, of the sort you might hear on a classic Elenco Records session, but with a more contemporary flavor overall. Each track has some sort of a jazz solo – tenor, flute, piano, trumpet, etc – next to the vocal – and titles include "Aguas De Marco", "Tempo De Amor", "Blackbird", "Mas Que Nada", "Setembro", "Modinha", and "Vem Morena Vem". CD features a bonus track too – a version of "Soul Bossa Nova"! In his 2000 book Fargo Rock City (Scribner), Chuck Klosterman explains a phenomenon in heavy metal that involves the critical threshold at which the speed of notes within a solo actually changes the inherent meaning of the sound. To illustrate his point, he describes a passage by ex-Kiss guitarist Vinnie Vincent that, upon crossing said threshold, "becomes the equivalent of a police whistle." This is an astute observation which extends to jazz as well: There's a point during "Mars," from John Coltrane's Interstellar Space (Impulse!, 1967), where the notes descend so rapidly that it feels less like listening to a sax solo and more like being shot with rays from an intergalactic machine gun. It's a narrow window that occurs after individual pitches shed their singular qualities but before they coalesce into legitimate chords, and it's a rare feat that escapes all but the most virtuosic instrumentalists. Pianist Brad Mehldau is one of these instrumentalists, and rarely has his gift been displayed as centrifugally as it is on Live in Marciac, a double-shot of solo piano recorded at a French festival in 2006. It's a stunning document that somehow manages to satisfy the most basic melodic appetites while still confounding conventional understanding of human capability. Rock critics have long bemoaned the inverse relationship between melody and pyrotechnic showmanship, and indeed, Mehldau's early records (particularly the live installments of theArt of the Trio series) took their share of heat for consummate musical fireworks that at times disregarded the framework necessary for such tangents to function. But this signals one of the largest components of growth in Mehldau's playing—his heightened awareness of a song's melodic core, even (perhaps especially) in moments of dizzying technical prowess. Comparing Marciac's reading of Cole Porter's "It's Alright With Me" to that which opened 1998's Live At The Village Vanguard; in the earlier recording, Mehldau went back and forth between nimble albeit spastic outbursts—an impressive display of individual ideas seemingly unbound by a shared purpose. But his Marciac performance moves with an agility and mellifluousness elusive to the Vanguard take, gaining a buoyant coherence while sacrificing none of the rhythmic freedom or exploratory dissonance. Most pianists play differently by themselves than they play in groups; Mehldau all but literally transmogrifies his left hand into two other living, breathing band members. Of course, the Porter-style standard has always been but a third of Mehldau's repertoire, and across Marciac's 100 minutes he packs the rest—the originals and the modern pop tunes—full of the same sensibilities. The flurrying notes erupting in psychedelic unison, the classical lyricism at the heart of all those dreaded Bill Evans comparisons, the moments of technical precision when the piano almost sounds to be playing itself—these are all features whose sum makes Richard Rodgers and Kurt Cobain feel like torchbearers in the same line of tradition. And, in a sense, they are. But who besides Mehldau could make it seem so obvious? Track Listing: CD1: Storm; It's Alright With Me; Secret Love; Unrequited; Resignation; Trailer Park Ghost; Goodbye Storyteller (for Fred Myrow); Exit Music (for a Film). CD2: Things Behind the Sun; Lithium; Lilac Wine; Martha My Dear; My Favorite Things; Dat Dere. DVD: Storm; It's Alright With Me; Secret Love; Unrequited; Resignation; Trailer Park Ghost; Goodbye Storyteller (for Fred Myrow); Exit Music (for a Film); Things Behind the Sun; Lithium; Lilac Wine; Martha My Dear; My Favorite Things. DVD Special Feature: transcription of "Resignation," viewable separately or onscreen while track running. Dark places can be foreboding, and also comforting or beautiful if put into proper context. Trumpeter Tomasz Stanko has always used introspection as a means for making his music, but on this recording he's all but snuffed out the candlelight, inspired by the wispy smoke that trails to the ceiling. During the 2000s he retained a regular working band of very young musicians, and for Dark Eyes he's formed a new band of promising up-and-coming players from Northern Europe, with instrumentation modified from the piano/bass/drums backup trio. The very subtle Danish guitarist Jakob Bro (from Paul Motian's band), multiple competition prize-winner Finnish pianist Alexi Tuomarila, Danish electric bass guitaristAnders Christensen (ex-Ravonettes and Motian), and drummer Olavi Louhivuori (also an accomplished pianist, violinist, and cellist) from Finland are all new names to the ECM family, playing with extraordinary reserve and even a bit of reticence. That subtle sense of territorial division between the band and Stanko marks a new, still toned-down chapter for the Polish trumpeter, beyond his previous suspended night-shaded productions. "So Nice" is certainly all that, a pristine, slow, piano-lined piece with a solemn viewpoint. Inspired by the expressionist artist Oskar Kokoschka, "The Dark Eyes of Martha Hirsch" evokes strong amounts of sunken sadness in a unison piano/guitar/trumpet line, while "Last Song" exudes a finality within the same type of democratic instrumental structure. Departing from feelings of gloom, the ambience remains, replaced with more joy during the pretty three-minute piece "May Sun" sans Stanko with Tuomarila's repeat piano lines tumbling down the stairs, while "Terminal 7" and "Grand Central," with a pedal point base, both ruminate with the flowing and always active, upbeat but never anxious metropolitan feel Stankoexperiences in his second home, New York City. Two compositions by Krzysztof Komeda are included: the pitch-black "Dirge for Europe," similar to a Miles Davis construct with Bro's guitar as a mirrored observer in the background, and "Etuida Baletowa #3," the most pleasant piece of the date, nicely drawn in an authentic jazz ballad form. As Stanko's music is very consistent, it also is for listeners who are used to his style at the outset. With the late-night aspect emphasized and the ECM precept fully realized, Dark Eyes represents yet another triumph for this extraordinary artist, who always pulls back and digs deep into the wellspring of emotion with every passing moment. 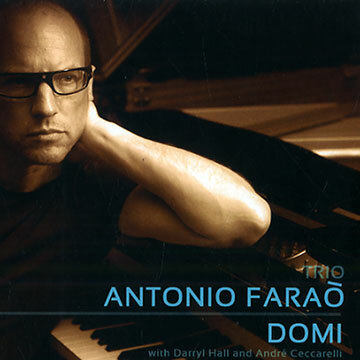 Farao was once described by Kenny Kirkland as "the best young piano player to come up for years". The multi-award-winning Italian pianist has by now left such "young prodigy" accolades firmly behind him, and has established himself as one of the finest jazz players in Italy and beyond. A multi-award winner in Italy (New Talent Prize at XI Musical Review in 1987, Four Roses prize as Pianist-Of-The-Year in 1991), he has internationally collaborated with the likes of John Abercrombie, Gary Bartz, Billy Cobham, Ronnie Cuber, Chico Freeman, Richard Galliano, Antonio Hart, Lee Konitz, Bireli Lagrene, Didier Lockwood, Branford Marsalis (Kenny Kirkland often calls for Antonio as his substitute), Tony Scott, Buster Williams and many more. Farao has recorded several albums for Enja and Cam Jazz, but this new title, consisting of ten original compositions and dedicated to his son Dominique, is his first for Cristal. Long time associate Andre Ceccarelli, a veteran of the French jazz scene, is once more on the drum stool, and Darryl Hall plays the bass. While Hall's career has only been 15 years in the making, he has managed to travel all over the world with the most renowned jazz artists of today, including Geri Allen, Regina Carter, Ravi Coltrane and Mulgrew Miller. Ormai concordemente riconosciuto come uno dei protagonisti dell’attuale scena jazzistica italiana, Claudio Filippini torna a dare prova di straordinaria capacità espressiva e di inesauribile vena creativa con il suo nuovo lavoro, settimo album di una già nutrita discografia che, nonostante la giovane età del pianista pescarese, porta le firme di collaborazioni di prestigio, tra cui Max Ionata, Giovanni Tommaso e Francesco Bearzatti. 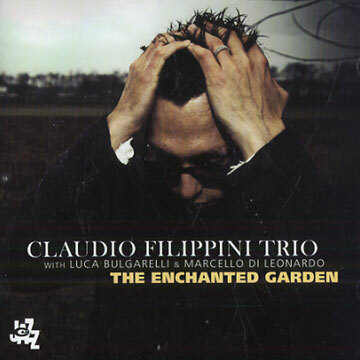 Prodotto dalla Cam Jazz, “The Enchanted Garden” rappresenta il frutto maturo della particolarissima alchimia generata dalla solida formazione classica e jazzistica di Filippini nell’incontro con le sue straordinarie doti creative e capacità espressive. I tredici brani che compongono il disco, quasi tutti inediti, ad eccezione di alcune meditate citazioni da Lins a Skrjiabin, tessono un filo ininterrotto, eppure straordinariamente variopinto, attraverso generi e sonorità diversi, in un gioco sapientemente equilibrato tra composizione e improvvisazione. Elemento cardine e fattore d’unione di questo percorso apparentemente eterogeneo è l’originalissimo linguaggio personale del giovane pianista, che tanto nella creazione quanto nella reintepretazione, tanto nei brani più lirici quanto nelle sonorità più ruvide e taglienti, si caratterizza per esiti di grande qualità. Ad accompagnare Filippini nel suo giardino incantato, una sezione ritmica che vede Luca Bulgarelli al basso e Marcello di Leonardo alla batteria, una formazione ormai consolidata che consente al piano di muoversi agevolmente attraverso la grande varietà di soluzioni espressive esplorate. Tutto lo spessore del lavoro si intuisce fin dal brano di apertura, “Il fiore purpureo”, in cui la delicata intro dagli echi classici del piano si fonde alla ritmica con mirabile naturalezza in un vivace swing. Più liriche e intimiste sono invece le atmosfere di “Verso Sera”, “Coralli e “Waterfalls”. La rilettura di “Art Of Survival” di Lins si avvale dell’ottimo contributo del basso di Bulgarelli, mentre l’incalzante batteria di Marcello Di Leonardo fa da imprescindibile cornice a brani quali “Flying Horses” e “The Beast Instinct”. Si apre su un lungo periodo dalle atmosfere malincoliche e sospese la reinterpretazione di “You Must Believe In Spring”, cui segue una delicata e raffinata citazione da Skrjiabin, “Feuillet d’Album Op. 45 n. 1”, una piccola perla del solo piano di Filippini di poco più di un minuto. Alla essenziale ed elegante melodia di “Under That Sky”, segue la ritmica sostenuta di “13 Death March”, brano tutto costruito intorno al perfetto interplay e alla fluidità di discorso tra i tre musicisti. Dopo le atmosfere intense ed evocative di “Wise Wolf”, l’album si chiude con l’ultima delle cinque cover, una sinuosa versione della splendida “Django”. “Ci vuole infatti tanto coraggio per un ragazzo di 28 anni a sfidare i luoghi comuni delle mode dominanti e sfornare oggi, in Italia, una musica di tale densità e intensità. Perché in una situazione poco allegra per l’arte e per la cultura del nostro Paese come l’attuale, quella di Claudio è una sfida incredibile, che conforta chi nella musica non-spettacolo, cioè nella musica-musica continua a credere”.